Combustion Music has 5 singles in the Top 20 this week! 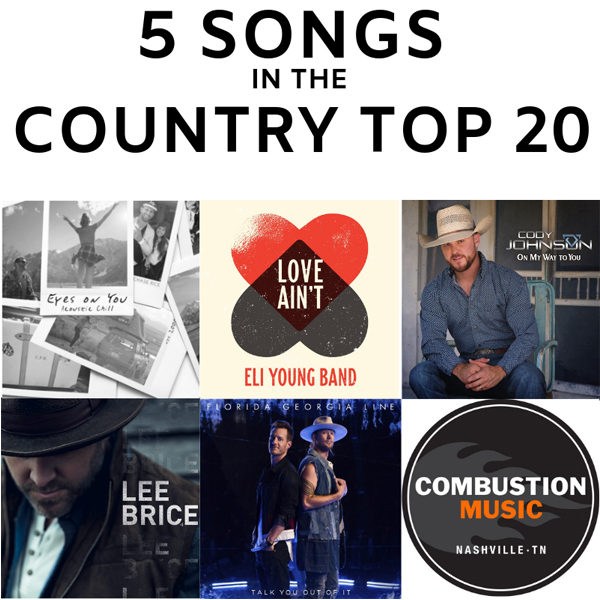 Chase Rice - "Eyes On You", Eli Young Band - "Love Ain't", Cody Johnson - "On My Way To You", Lee Brice - "Rumor", and Florida Georgia Line - "Talk You Out Of It". Head over to our On The Radio playlist to listen to all of our current singles.